All students will receive a basic electronics starter kit, which contains a starter pack of electronics components and sensors, including a breadboard, wires, light sensor, tilt sensor, LEDs, a motor, and more. 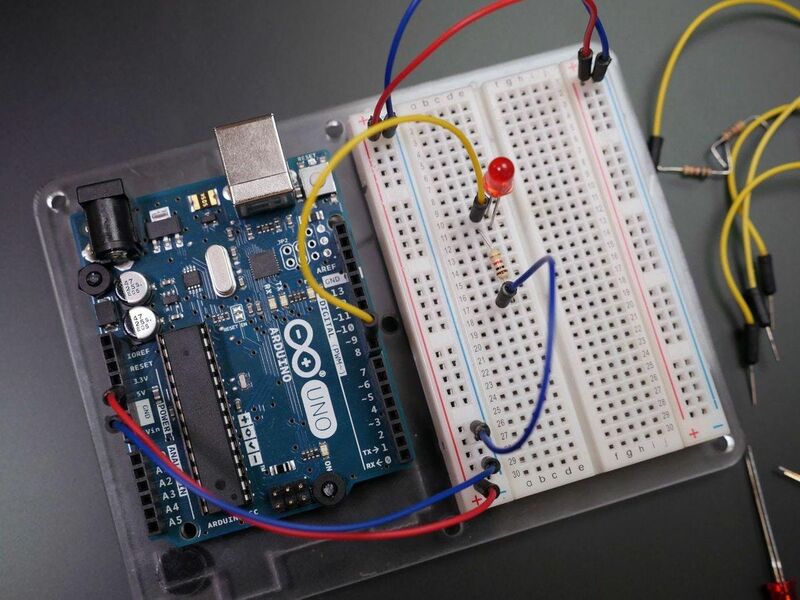 Students will also receive an Adafruit Metro (Arduino UNO equivalent). Basic computer knowledge is assumed, and we'll refresh a few concepts from high school physics and math. No previous experience with coding or circuits is required. This class will be taught by NYC Resistor members Max Whitney and Becky Stern. As with all NYC Resistor events, this class is 18+ and governed by our Code of Conduct. The Code of Conduct, as well as accessibility information, can be found at www.nycresistor.com/participate/.